For most fashion designers creating an all black line of clothing may lead towards a minimalist feeling, but for Menswear designer Marcos Paulo, lack of color is just one way to amplify the edgy style of his Accordion collection. In conjunction with his first collection, inspired by Geometric Corporal Expansion, the Brazilian has created new mathematically produced designs containing pleats and folds that resemble qualities of musical instruments, such as the accordion. 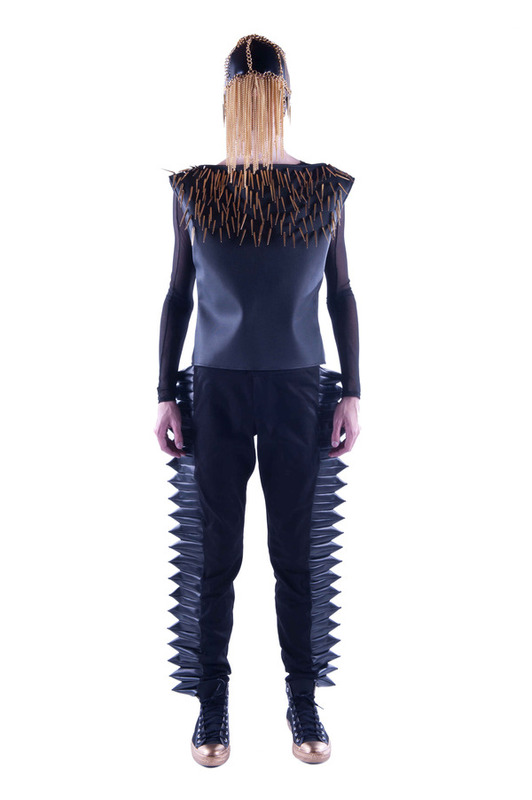 In addition to the geometric motifs, Paulo infuses gold spikes and futuristic cuts to tie together the intergalactic warrior look, which has influenced each piece. With black and metallic gold sneakers, along side gold chain embellished leather masks, Marcos Paulo’s collection truly challenges the traditional notion of Menswear today. Note none of the images belongs to me. I will work hard and hope one day I will get to meet these talented designers. One can only wish and hope. 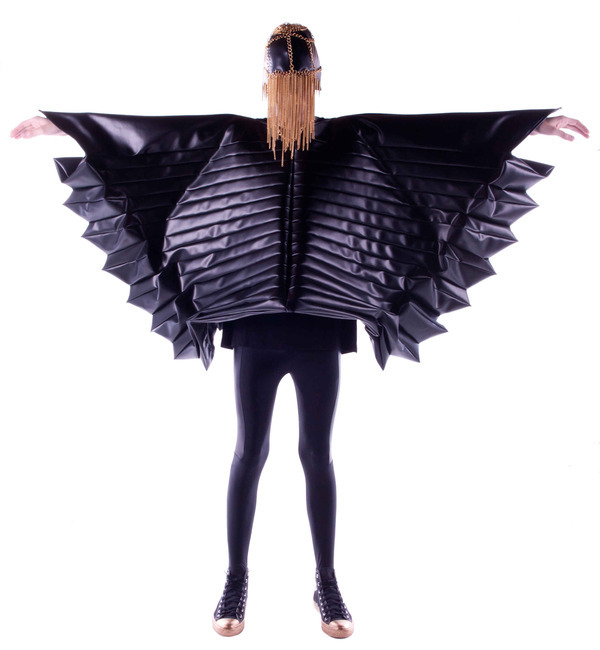 ACCORDION COLLECTION – INTERVIEW WITH MARCOS PAULO « Modgam's Playground; Fashion, Food, FunFinds.